I don’t like to get involved in arguments or debates online. It just happens from time to time. Hugh Dellar, former Celta tutor, teacher, teacher trainer, coursebook writer, and presenter, recently wrote an impassioned and typically strident critique of Celta and courses of its ilk in the aftermath of what many are seeing as a seminal plenary talk by Silvana Richardson at IATEFL 2016 on the topic of native speaker vs. non-native speaker bias in our profession. Hugh basically puts forward a case against Celta, and calls for its replacement with something better. I have nothing against the idea of establishing better qualifications and standards for our profession, but this will only succeed when the argumentation is sound, and so I feel compelled to respond to Hugh’s key arguments. As I make my living working on short introductory training courses like Celta, it isn’t surprising that I may defend them against criticism. Before you let such ad hominem thoughts discount the rest of what I have to say, let me assure you that I will be careful to present evidence and give ground as I go along. I hope to show that while they are superficially persuasive, Hugh’s arguments in his latest post frequently lack either logic or evidence or both. Despite this, I will end up agreeing with some of what he says and present an (arguably) more strident conclusion of my own. If you haven’t read Hugh’s post yet, stop here and go and do that now. It’s worth it. I’ll wait for you. For the purposes of this critique we can ignore the first two paragraphs of Hugh’s post, being just an introduction to the issue for unfamiliar readers. Suffice to say, after a few caveats about how there are some good trainers and good courses out there doing good work, Hugh gets down to the serious business of straw-manning the Celta. The problem here is that Hugh, straight off the bat, is not making an argument but is instead begging the question: is Celta in fact the gold-standard entry point into teaching EFL as a global profession? The short answer, is: no, it isn’t. And for a rather obvious reason. As Hugh himself goes on to point out, the actual entry point for teaching EFL as a global profession is not the Celta but rather no qualification at all. While 10,000-12,000 people take the Celta each year, a considerably higher number will with great likelihood commence work at private sector ELT institutes worldwide without any training whatsoever. While this cannot be supported by data for obvious reasons, it is a logical conclusion to draw – one would expect people to take the line of least resistance and thus more people would seek to enter the profession without any qualification if they can than work to obtain one. This being the case, Hugh has made a rhetorically decorous, but factually unfounded assertion about the market leverage of the Celta, and it does not bear up to logical scrutiny, “gold-standard” or otherwise. This does not invalidate his point completely, especially as I am not presenting hard evidence either yet, so let’s look at it more closely for a moment. Hugh’s actual point is a bit more subtle (or slippery) than that. He says that a “current status quo” somehow “positions” Celta as this “gold standard”. In other words, there are players operating to raise the Celta to the level of gatekeeper qualification. At this point in his argument we are left to infer who these may be: the qualification body and its shills, presumably, plus some useful idiots. As they play no further part in Hugh’s argument, we, like he does, will leave them here. So for now, let’s just bear in mind that Hugh has yet to buttress his claim that the Celta is a “gold-standard” (by which we can only assume he means either necessary or privileged) entry qualification. Let’s move on. Now, there is a lot here, so let’s move through it in slow-time. His first point is that Celta offers an inadequate entry to the profession. This not only begs the question “does it in fact fail to be adequate as an entry to the profession?”, but it also avoids any description of what basic entry parameters would look like. Obviously, therefore, to respond to Hugh’s first assertion, we will have to fill in some background for him. Adequate entry or back-door entry? If we presume that by “an adequate entry” to the profession, Hugh would mean that, given support in the initial period, a qualification holder would be able to plan and deliver effective lessons, then the Celta certainly claims that it meets this standard. Indeed, this is a summary of its PASS level grade descriptors. Note the relationship of these performance standards with “ongoing support in-post” for an “initial period” post-qualification. Now, the fact that the Celta claims that its holders can operate successfully with support in no way means that such support is in fact provided, and here I grant Hugh and I would find clear common ground in criticising this fact. This is, incidentally, a likely push factor out of the profession; estimates place attrition over two years post-celta at upwards of 66%. If that figure shocks you and leads you to think that it might be evidence to criticise the course as being unfit for purpose, hold fire: the figures are similar for traditional state teacher training in the UK. While the absence of this support certainly makes a smooth transition from training to occupation a false hope, this would be more a failure of “The Market” (as Hugh would put it) more generally, than the qualification. Hugh also, we may note in passing, makes the claim that Celta “perpetuates the devalued status of EFL teachers around the world”. Here there are in fact two claims: 1) EFL teachers around the world are devalued, and 2) Celta perpetuates this state of affairs. Claim (1), at least within the unregulated private sector, is probably true and uncontroversial; claim (2) however, does not logically follow from it. The presence of a qualification like Celta establishes some minimum professional standards and is therefore a good thing. The fact that so few teachers go on to take a higher qualification (less than 1 teacher for every 10 taking the Celta takes the Delta, for example) is a problem, but without the Celta, these beginning teachers would probably simply start with no qualification at all. Hugh almost supports his own call for a more richly developed type of initial qualification via this point, but we need to bear in mind that for B to be better than A, A need not be bad. To make such a claim would be elementary false logic, and I suspect Hugh is aware of this but got carried away. If Hugh had simply said “can we agree that, in an ideal world, the entry level qualification for our profession would be qualitatively higher than it is now?”, I suspect he would have met with no opposition. But when Hugh argues later in his post that the solution to such low professional standards in our field is for training centers to start boycotting Celta, he misses the point by a wide margin. It isn’t qualifications we need to be scapegoating or boycotting, but teachers, schools and institutions who do not invest in their own or staff’s continuing professional development. It isn’t apparent on which evidence, if any, Hugh is basing this claim. And, once again, it is important for the reader to recall that this is all it is: a claim. Not a statement of fact but one of opinion. Now, this is quite a claim, and it would normally demand some evidence in its support. The plural of anecdote is not data, as we all know, so it would be useful to look at some (albeit partial) data. But before we can do that, we need to know what “favoring native speakers” would look like in practice. Does Hugh mean that “native-speakers” find it easier to enroll? to pass? To gain employment afterwards? It appears mainly the last of these, but to be on the safe side, let’s take each of these in turn. Given that the standard enrollment procedure for a Celta typically requires applicants to pass a language awareness test, an interview, which typically includes language analysis, practical teaching ideas, frequently teamwork tasks and – incidentally – language competence, it is difficult to see where a “native-speaker” would have an advantage over a “non-native-speaker”, assuming the “non-native-speaker” had a level of English adequate to teaching the language anyway. So Hugh can’t mean this. If the Celta were easier for “native-speakers” to pass (or pass well) than “non-native-speakers”, then this is what we would expect to see in the grades data. This isn’t the case, however. In an analysis conducted a few years back of data drawn from my own centre (150 candidates per year), while we have a 60:40 “native-speaker”:”non-native-speaker” intake, we have a higher percentage year on year of “non-native-speaker” passes, and this increases the higher the level of pass. Incidentally, it also tends to be higher for women. So, if you want to have the best chances of doing well at Celta (at least in the North East of Germany), try to be a “non-native-speaker” woman. ASIDE: In case you are interested, and bearing in mind that everything here is simply a statistical trend, not a quota or suchlike, the next most successful group are North American post-grads (slight bias towards women again). And if you want to fail the course, you can be more or less anything and come from anywhere – the fail grade, it appears, really isn’t choosy. So when Hugh says, as he does later in his post, that “I was as qualified as any one of my Polish or Brazilian colleagues who’d done the same course”, he is both correct and incorrect at the same time. He is correct insofar as both he and his “non-native-speaker” course-mates all obtained the same qualification, which is unremarkable given they all enrolled in the same course leading to the same qualification (it would be more surprising if this were not the case); he is incorrect in his own terms to say that this made him as “qualified” in a broader sense, as he establishes clearly elsewhere in his own post. Language learning experience, both in terms of early-years bilingualism and formal study, place them at an advantage over him. Hugh also explains in the comment thread to his post that this is what he means. “Non-native-speakers” should be at an advantage over “native-speakers”. The only question is: does The Market see it the same way? But this begs another question: are all (or even most) “native-speaker” celta enrollees similar to the picture painted by Hugh, that is to say lacking formal or informal language learning experience or success, teaching experience of some kind, etc? Again, the evidence suggests no. While our centre eliminates applicants at the pre-interview stage where they have no language learning background and tell them to go away and try to learn a language before trying to teach one, we set the bar pretty low. Any experience of language lessons, regardless of success, is enough to keep the chance of an interview open. However, the number of candidates we accept who meet only this minimal standard is vanishingly small, so we aren’t applying a statistically significant filter. I see no reason to think my centre is radically different in this regard from any other overseas centre, though I grant that the same may not hold in UK/US or similarly located centres. Nonetheless, on this basis I would dispute Hugh’s claim that “native-speaker” applicants typically display less of a language learning or teaching background than “non-native-speaker” applicants. Life moves on, and so does the Youth of Today, perhaps. Hugh’s portrait of a typical “native-speaker” applicant – For natives such as myself, however, who arrive on courses often having spectacularly failed to learn a foreign language at school, with little or no ability to articulate and explain how language works and with no teaching experience whatsoever, a CELTA offers a crash course in how to fake it – is so grotesquely caricatured as to bear virtually no relationship to the data I have available. Perhaps such sorry specimens get accepted on some courses, but such aberrations occur everywhere – including on PGCEs, BAs, MAs and so on. Much like Bertrand Russell’s cosmic Teapot, I cannot prove such failures of the application process don’t exist; I simply see little evidence for them near me. So the only point left with a leg to stand on is the argument that weak “native-speaker” cert holders are valued as much or more than even strong pass “non-native-speaker” cert holders. Here, sadly, I suspect Hugh is on firm ground. I say “sadly” not because I am loathe to agree with Hugh – far from it – but rather because of all the many great teachers who are potentially mistreated as a result of this claim perhaps being true. At IATEFL I spoke to just such a “non-native-speaker” teacher who also happened to be a Celta holder. They had, like Hugh, been impressed by Silvana Richardson’s plenary, and had been left with a sour taste in the mouth because, like Hugh, they saw a basic injustice in The Market relevant to this discussion. As they put it, in large parts of the world, even if a teacher holds the Celta (the “gold-standard” entry – level qualification, as we recall), they still get no job offers as long as they are not “native-speakers”. In other words, the qualification does not “level the playing field” for “native-speakers”; it is far more a bait-and-switch trick for “non-native-speakers”. If this were true, the Celta would be implicated in a much larger injustice against “non-native-speaker” teachers than I think Hugh even himself thought to formulate: they would be encouraged and enticed by The Market to invest time, money and hope in gaining a qualification like Celta, but afterwards, their hopes of leveraging this “gold-standard” would be cruelly dashed by the lack of job offers granted them. If this were true, it would be a travesty and a disgrace. This, in itself, is a very large claim, and hence I make it very tentatively and highly provisionally. I would like to see longitudinal data showing the employment success, by country, for “non-native-speaker” takers of the award in comparison to “native-speaker” takers; this would settle the argument once and for all, and such data would not be impossible to obtain. Any and all “non-native-speaker” holders of Celta who have successfully started a teaching career, especially outside your own country, please make yourselves known in the comments section below! But assuming for a moment it is true, what then? The intellectually honest thing to do, it seems to me, would be for such courses aimed at the unregulated private sector (only a part of the larger ELT education sector, lest we forget) to stop accepting “non-native-speaker” trainees, as the qualification would provide no leverage for them in the target market place. As a “native-speaker”, I am disbarred from taking a Cambridge English language proficiency exam for similar reasons. The morally correct and professionally sustainable thing to do, on the other hand, may well be to explore the idea of raising the qualification bar for our profession; but while these are areas to explore and are certainly inspiring, this won’t be achieved simply by boycotting current solutions or bringing in competition alone. Everyone, from the top brass working within qualifications providers right down to the client on the street walking into the local language school for a placement test, needs to change their mind on a lot of things, including – but not limited to – the status of “non-native speaker” teachers and what it means to be “qualified” to teach. This is the real problem that I believe Hugh is trying to crack, and – despite everything I have said here about his argumentation (in the interests of widening the debate, rather than closing it) – it is one on which I support him and against which I am willing to help apply pressure. However, it would be interesting to know what people’s intentions were before starting the course. 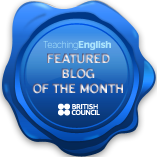 There are many people who take the Celta with the intention of only working as an English teacher for a fixed period afterwards, perhaps for VSO or similar programmes overseas. This thus wouldn’t indicate a ‘push factor out of the profession’ but rather the natural end of this phase of that person’s career. Thanks for commenting, Alastair. You are fight to point out that the motivation for leaving may well be very different. Whether this is a point in favour of Celta or not in the context of this discussion is very much open to debate and I’ll be interested to see what Hugh thinks. I would say it’s a bit of both: having such a “throwaway” career-entry qualification, as some will see it, can be seen as a bad thing. The fact that 33% of state-trained teachers never enter the classroom post-training seems to me to be a far bigger elephant in the room. – Increase the pass mark whereby the qualification would only be awarded to those graduating with a pass “B” or equivalent? – Placed those who received ‘C’ or standard pass marks on probation, and they would be required to be reassessed/moderated within 3 months of completing the course? It sounds like you are condemning the idea of restricting entry to the course and at the same time suggesting that this is what needs to happen. Or do you think the focus needs to be on those entities involved in accrediting/validating educational institutions running the language classes? By all means, there needs to be a shift in thinking from many in the industry, but surely there is a stronger argument to be leveled at those bodies involved in accreditation and awarding of qualifications than anything else…. I think a key issue that isn’t addressed here is the fact that the CELTA/CertTESOL makes an assumption that the methods/approaches trainees explore/use are universally transferable to any context….and in that regard, the validity of the content of the course is undermined. Thanks for writing, James. I’ll try to answer your points in turn. 1) Your first thought experiment makes me think of that conversation in Spinal Tap about the Marshall amp that goes up to 11: “Why don’t you just make 10 louder?” “But this one goes up to 11…” I guess what you mean is to raise the minimum requirements for a PASS grade, right? I would certainly be in favour of that. The larger problem is ensuring standardisation of grading worldwide. Cambridge does a lot to ensure this, but there could always be more. 2) Good idea in theory, to add a half-life to the award. Similar to BULATS or IELTS, the cert only proves that at that moment in time you are up to the job. Of course, making this work in practice might be so onerous as to kill off the demand for the award. Whether that would e a bad thing is open to question, I suppose. 3) You are right: I am proposing and questioning the idea of banning NNESs from taking courses like Celta. If this happened, at least it would be a clear statement about the market and the place of the qualification within it. However, this would not be a solution. 5) If there is a stronger argument to be made, then by all means make it! I’ll listen! 6) You’re right, that issue isn’t addressed, as it wasn’t part of Hugh’s argument either, and I was critiquing his argument. But I guess you are asking me now, so here’s what I think. I don’t know any trainers who make the claim that the Celta is a universal panacea for teaching. The claim is made that it broadly and effectively prepares you to work in a very wide range of settings, and gives you the basics necessary for finding your feet within any context you find yourself. I think this is a strawman argument put about a lot. If ANYONE buys the idea that after 4 weeks of basic training they are the equivalent of the SAS – just parachute me in, and I’ll not only survive, but thrive, then they are simply not thinking enough. It doesn’t work like that in the army, and it doesn’t work that way in teaching. And it isn’t even the case that the ongoing training isn’t there in our field; the problem is that people don’t take it. And they don’t take it for all kinds of reasons, mostly to do with money. Many of the problems we experience as a profession arise from the unregulated nature of the market, and they won’t go away without regulation – on an international scale ultimately, but even national regulation would help. Yes I agree with much of this – firstly in relation to the CELTA/Cert being universally applicable, well what I really imply is that the techniques and approaches are very much applicable to one (or a few) teaching contexts – largely adult learners of EFL, or the type that come to Australia or England on a career break to immerse themselves in the language. This is largely a function of it being a 4 week course, and a relic of the origins of the course: John Haycraft’s solution to providing some basic professional standards to an otherwise completely unregulated industry in 1970’s Spain, was it not? So it’s not so much what trainers claim/believe, but rather what the course implies about teaching, what the course doesn’t allow trainees to establish in terms of concrete beliefs about learning and how this reflects the reality of teaching….and this is something that can only happen effectively if the course happens over a longer period of time. Anyway – I do disagree with you that the support for new CELTA grads isn’t there…I don’t think that is generally true. It is at many schools, but I don’t think it is there at most schools – or it is not there in an accessible form. So if you have qualification that relies on ongoing CPD and support, but one which does nothing to ensure that is provided (and the argument that many teachers don’t take the opportunities for CPD isn’t relevant because as trainee teachers it should be an option), then you have a qualification that only partially delivers what it needs/claims to. I think the sources of the changes we are seeking may come from any of the three sources you mention here – I don’t think there will be any real change in market perceptions/demands until the core meaning of the qualification changes – remember that in many cases, schools/recruitment is run by people with no background in education (at least that is true here in HK) so to address this, the expertise that the qualification represents needs to be more concrete, I would say. In light of recent discussion of the role of teachers engaging in research, I would like to see more data published on case studies aimed at shifting and exploring ways of shifting NEST bias. I think this might be a more practical solution, and one which those without an educational background might actually be able to relate to. Thanks for expanding on all that James. I’m glad you agree that Celta is only applicable to a delimited set of contexts (i.e. general English to adults in the private sector.) This is what it was designed for, and so we appear to agree that it is fit for purpose in that regard. I think this is also what you are doing when you say “the expertise that the qualification represents needs to be more concrete…” – I take this to mean the Celta needs to address, and claim to address, a wider range of teaching contexts (YL, etc.) than it currently does. Obviously, OTRE, more = better, but as I said before, to say B is Better than A does not entail that A is bad. I totally agree with you and Hugh that a baseline training that fully covered all likely aspects of teaching in ELT today would be optimal, but at the heart of it would be some element that would have to do precisely the heavy lifting that the Celta does now. EAP, ESP, BE, Exams, YL, online, 121 etc – training for these all only make sense in the light of a foundation – and this is all Celta has ever claimed to provide. Your idea of Celta forming part so a suite of courses is interesting, and up to the beginning of last year, it did in a way. There was the YL extension, which is the other thing that makes explicit what Celta is for, and not for. However, this was phased out in January. Why? Because no one wanted to take it. Why didn’T they take it? Probably because the market didn’t require it of them: basic supply and demand. Should Cambridge force all takers of the Celta to take the YL extension because the market is sloppy in its recruitment requirements? YOu can argue that way, but I wouldn’t agree that Cambridge gets to tell the market worldwide what to do, and I think that would be quite obvious if it ever tried. So Cambridge has opted to explore two alternative forms of Celta – Celt-S and Celt – P – for those teachers already working in the primary or secondary sector and who want the kind of practical communicative teaching basis that the central course offers. What impact this will have remains to be seen. Also, the takers of awards like these need to take some responsibility here. I took a 4-week course and was clear that it gave me no grounding in working with children, so I never accepted any of that kind of work. Then, when I wanted to work with children, I went and took a PGCE. That is a perfectly logical and available option, and I was no better informed (probably a good deal less) back then than applicants can be today. So make Cambridge the whipping boy if you like, but teachers who take classes for which they are in no way prepared deserve it more in my view. When you say “it’s what the course implies about teaching…” I think you are making an illegitimate, but common, move. You are ignoring what the course explicitly says about itself, which is that it is for giving teachers the basics to work effectively in a range of contexts involving adults and older teenagers. Now, here is where we might agree: I think that Cambridge – at least in its splash page advertising – is less explicit about this than they used to be. It is still clearly there, just not as obviously as it is surrounded by more generally positive expressions of the course’s benefits. I do think that here there is room for improvement. The idea of exploring “NEST” experience via case studies is interesting, and I would also be interested in reading the outcomes. I’m not sure how this would impact perceptions in the woder market, but that is probably due to a lack of imagination on my part! How do you think this would work? I’ll reply to your other comment separately to keep the disussion easier to follow. Just wondering about your support for the statement that CELTA (Cambridge English) “makes an assumption that the methods/approaches trainees explore/use are universally transferable to any context”. It is a course designed to prepare teachers to teach languageto adult learners in private language schools, no? Thanks for joining the conversation, Derek. That is exactly the question I had for James as well, so hopefully he can find the time to get back to us. Just to clarify – the assertion I was making about universality was that new trainees can reasonably be expected to teach EFL in almost any context, the majority of which they have not been fully trained to deal with…. These all require specific skills and linguistic knowledge and an understanding of learning processes that are unique…. So in many ways the CELTA/CertTESOL ought to be a module in a much broader course….but only one component. Hi James, I have addressed this point in my other reply, so this is just an acknowledging comment. However, I would point out again that you are moving the goalposts: you say “new trainees can reasonably be expected to teach EFL in almost any context, the majority of which they have not been fully trained to deal with….” you are leaving unclear (via your use of passive voice) who is doing the expecting. If you mean Cambridge, then you are claiming that they say Celta is good for “almost any” context. I’m not in agreement that they make this claim, though I am in agreement that they are drifting in that direction and should stop. If you mean the market, then again, that is the fault of the market. Can or should Cambridge correct for this abuse? Possibly? Is it their responsibility or fault if it occurs? I don’t think so. Yes I think we are actually in agreement over most, if not all of this. I’ve been reading and responding off two different computers/mobiles which has made it hard to track thoughts and responses, so apologies if the thread/clarity of my message has been unclear! What I mean to say, but perhaps didn’t articulate it very well, was that the what the CELTA implies about teaching is much more to do with the way the qualification is used – which as you say is largely an issue of the market and its lack of regulation. In much the same way, IELTS was never intended to be used a means to assess immigration applications I suppose. So I don’t mean to accuse CELTA of trying to achieve something it cannot, or claiming to do anything other than what it was intended to do (though I still have my reservations about how effectively it….as my comment about shifting the pass mark would suggest). I also take your point about teachers taking on work they aren’t trained to do being just as at fault as those who provide them with the work – and this is, in my opinion a largely market-driven reality. In Hong Kong the market is over 70% YL classes, and I’m certain 70% of the teachers in HK don’t have a YL teaching qualification. As a side note – isn’t it interesting that you comment that the market doesn’t require teachers to take CELTYL or TYLEC, so CELTYL was phased out, yet there are still immigration practices that necessitate “native teachers” or “native level teachers” (which is precisely what the CELTA provides) yet the market also chooses to ignore plenty of these “native level” teachers based on nationality. Anyway, my inclination is to say that one key way to address quality of the qualification is to either find a way to ensure the ongoing support trainees are supposed to have is delivered by schools and accessed by new teachers. I think that at the end of the day this is something that the CELTA states explicitly, and it is something that it doesn’t control, for various reasons. So it seems to me as if this is an assumption the CELTA makes which is fairly central to the production of quality and reliable teachers, and an assumption that isn’t really an accurate reflection of reality. Yes James, the market has its own internal logic, which looks suspiciously like hypocrisy at times! The last part of your comment here is – sadly and increasingly – the Achilles heel of the award – the market isn’t going to hold up its end anymore, so the certificate just has to collect its ball and refuse to play. Essentially, despite my arguments, Hugh’s argument from a different angle. Thank you for this – it has been driving me to distraction the last few days and your measured, reasoned response (which amazingly mentions both Russell’s Cosmic Teapot AND Spinal Tap) is just what I’ve been trying to articulate. The point about the norm being no qualification is very well put – that should be the focus of Hugh’s ire I think, rather than the CELTA which actually does a lot to help the matter. As have you – thanks! Thanks Aeddan. I certainly have a lot of sympathy with Hugh’s basic intent, but I needed to say a few things about how he was trying to build a case (it’s also very enjoyable as an intellectual exercise, and I can’t recommend it highly enough.) I hope he is writing a follow-up where he goes into more detail about better alternative models for training; I’m all for improvement. I’ll also, if I find the time or (as with this post) find the insomnia, write something on how I think Hugh is right (I touch on this a bit, but my main focus was deconstruction. Yes, thanks for a well-considered post and for opening up the discussion. Did you happen to complete the recent survey sent out by Cambridge, the one eliciting ideas for changing the course? Could something be afoot? While assessing a recent CELTA course, and in my meeting with them, one of the trainees asked a question pointing to this idea that CELTA lacks breadth in preparing teachers for different contexts. She suggested that the course be more focused on Academic English. Now, though academic skills are undoubtably important, preparing teachers to teach EAP, ESP etc are goals outside the remit of a celta course, and, if we go back to the origins of the course, it was created very specifically to prepare teachers to teach EFL in private langauge school contexts. This makes me wonder if the centres are not making this clear in their selection processes? Should they be more explicit when they are screening candidates and when they are clarifying the goals of celta? To be fair, there is a requirment that an intro to Literacy be included in the timetable, but this may be an anitquated provision which needs to be revised, as it was likely included to deal with specific types of leaners coming to the UK at the time the course documents were created. Looing at skills on the course, the basic management skills that you learn on a celta are, IMHO, transferable to any context where you have to manage groups and process information (setting clear tasks, giving clear instructions, techniques for grouping are some that spring to mind). But nowhere, to my knowledge at least, is it stated that the course will prepare you to teach in any context. To shift direction slightly, I do think that the critism above of Hugh Dellar missed the opportunity to make more of, what I see as a cognitive dissonance in our field. Most committed teachers, those engaged in CPD, when asked will agree that the grammar syllabus is unprincipled and not supported by current research on how langauges are learned (See the results of Thonbury’s survey). However, the CELTA timetables of most centres that i inspect, the language schools that I have worked at, the course books that I use, almost without exception dovetail with an understanding of langauge as learned as the mastery of discrete items that follow a linear sequence. All these industries serve to perpetuate the hegemony and the dominant narrative of the field and if we wish to change it we need to look very closely at how these domains are interrelated, to challenge the assumptions that support their practices. What say you? Thanks for stopping by again, Derek. Yes, I did complete the survey, though I am neither happy with my comments nor the format of the survey. It’s been about 12 years since the last major review, so it’s likely that the time is ripe. Your EAP example points to the nub of the problem; no course can be all things to all people, but the more successful and therefore influential a course becomes, the more such unreasonable demands will be placed on it. Just as you can’t fairly criticise a fish for not being about to climb trees, you can’t fairly criticise a course for not doing what it was not designed to do. However, it was a product of its time and times change. The private language sector is generally very different nowadays from the 80s or even 90s, and perhaps the Celta needs to change more radically to reflect this. Recent changes, such as allowing for some 121 teaching etc, are a positive step in this direction, but I think there needs to be more. As for your final comment on dissonance: I say, yes, you are right! I agree that the survey was unsatisfying but at least Cambridge is asking for our input on the direction of the course. Lets see if they take on board the perspective of those delivering the course and thinking hard about its fitness for purpose. What changes do you see in the private language sector? From working in a part-time, relief capacity at a number of centres recently, it seems to me that the type of training that most celta courses offers, actually reflects back onto the same type of teaching expectations that successful candidates will be required to meet. As I mentioned above, the coursebook-driven, grammar syllabi predominates, as does the assumption that language learing is best acheived by marching students through a series of discrete items, and then testing them on de-contextualized test items, top-down receptive skills, and with an overall measure against NS-like competency. In the same way, the majority of Celtas focus on discrete items, on marching through the coursebooks, on viewing LA as displaying knowledge of meta-langauge and terminology, rather than as skill and technique to help learners understand patterns and functions that help learners with use. A radical change is needed i agree, but I am not so sure that the training is so different to the expectations at the langauge schools, particularly in terms of GE. Now it is true that there are a lot more courses offered at langauge schools now, which is what i assume that you mean when you suggest that the context has changed. there are electives like ielts, academic english, workplace english– esp courses. But generally these courses will require the teacher to have a bit more training and langauge awareness, more knowledge of the content, etc. Yes, I also agree that it is good that Cambridge are consulting; they are also doing this more frequently, and reporting the results in advance of changes, which are both positive developments on the past. The changes I see in the private sector are mainly to do with conditions of employment: a drift towards freelance status, bringing with it a shift in responsibilities for teacher development and support. This has implications for entry level qualifications like Celta, it seems to me. It has implications because we can no longer assume that this extra, in-service training will be available, either directly in the schools or indirectly in the form of encouraged and subsidised training elsewhere. Someone like James would, I imagine, take this as an argument to say the Celta is no longer fit for purpose, and in this sense he would have a point, if what I am claiming is truly the case generally. Or you could say that this is only a change in degree, not in kind, and that teachers have always had ultimate responsibility for ensuring they were up to the jobs they take on, and that the initial qualification cannot, and should not, try to be all things to all people. Of course, much of the world is still operating as it did back in the 70s/80s in terms of the ELT market, but – at least in Europe – I sense a change, and this is likely to spread. However, I would agree with everything you say in general. As for the change you mention, the ‘drift towards freelance status’, seems to be a microcosm of trends in the global economy: businesses moving to part-time, fixed-term contracts in the interests of efficiency and profit, stagnation of wages for all but the elite– all which create more freelancers scrambling to find extra sources of income. So, yes I would hazard that there are more freelancers who don’t have access to CPD opportunities, or who must be creative and resouceful, must seek these out in other places (like this blog, for instance!). But I worked for langauge schools in the 90s and early 2000s that offered no real cpd aside from the occassional one-of workshop, so i would agree that it is more a change in degree. There are very few centres who have understood the importance of cpd and have been willing to invest in teacher development– IH has a fairly good reputation, for instance. Thanks for these extra comments Derek. The idea of post-celta brush-up and extension courses, somehow buttressing the training on Celta and building up to something like Delta, is a great idea in principle and many trainees suggest something like this in their end of course feedback. Very few actually go for it when the time comes to ask them to sign on the dotted line for it, though. Perhaps this is bad marketing or something else. It’s one of my back-burner projects, though. I also think that DoSes and training centres need to do more to send each other the right messages, to avoid the kind of situation you describe. How, internationally, that could work is an open question. Electronic certificates, with bundled course reports would be one way (with obvious pros and cons.) Food for thought! Firstly, can I just thank you for such a calm, thoughtful response to my own heart-on-sleeve outpourings. I enjoyed reading this immensely and you have a measured, critical way of writing that I couldn’t muster even if I tried to. In the end, I was left feeling that if I’d known my words were going to be scrutinised in quite such forensic detail, I would possibly have taken longer getting them down on paper . . . or perhaps not written anything at all! I’ve been struggling to keep up with the comments section generated by my own post, and tried – but sadly failed – to plough through all of the fascinating comments above. It’s also a struggle just to find time to stay on top of these things one starts, given the limited number of hours in the day and the other pressing concerns upon one’s time, but anyway . . .
Oh, and before I forget, you are obviously quite right to point out these are OPINIONS I’m putting forward here, not facts. I’d kind of assumed that was obvious and hope no-one read anything I was suggesting as anything other than MY OPINIONS, but worth clarifying all the same. Anyway, I’ll try to address the criticism you raise one by one. (1) You’re unhappy with the claim that CELTAS represents a kind of gold-standard entry point into the profession and point to the fact that many people (and let’s be honest, when we say people here, we mean native speakers, right) start ‘teaching’ with little or no qualifcation whatsover. That’s obviously true, but I don’t think anyone in their right mind sees having no qualifications other thna nativeness or having done a weekend-long online TT course as some kind of “gold standard”. Such entry methods are actually widely seen as the dodgy backdoor route taken by native chancers. The fact remains that in most adverts and most discussion about what’s needed to get started in ELT, CELTA is seen as the pre-requisite starting point. Interestingly, were Cambridge to to decide tomorrow to, say, double the length of CELTAs, it’s still retain this position – strengthen it even – whilst also going further towards discrediting and invalidating the exisiting shorter entry routes. I have actually had – and here’s another anecdote for you – a conversation with a bloke in a bar, as you do, who’d done a one-wek course to start teaching and who basically argued “I don’t see much difference, to be honest, between a week or a month. It’s all pretty basic, isn’t it?” So my (utterly ungrounded in data) supposition here would be that continuing with the four-week course as standard (remove the GOLD if it bothers you) entry mechanism coverly lends some kind of veneer of creidbility to the one- or two-week versions of the same in a way that a longer, tougher course wouldn’t. (2) When I said ‘the current status quo positions the CELTA as the gold standard’ I wasn’t necessarily intending to suggest a conspiracy – just to say that as things stand, CELTA still has this status of rubber-stamped seal of approval. No more, no less. Apologies if my wording was unclear. (3) Your breakdown of my comments about the four-week course being an inadequate entry into the profession was detailed in the extreme, and I’m not I have time or patience to tackle each part. That EFL teachers – and particularly those who enter the profession via CELTAs and have a desire to travel and work abroad – are often devalued, ripped off, exploited, looked down and the like is, as I think you broadly agreed, not a remarkably controversial role. I’d suggest that CELTA plays into this simply by dint of being such a low entry bar. We need to take a long hard look at ourselves and ask what sort of respct, pay and treatment we were expecting if we’re happy to continue defending such a short course entry. What makes us that different to teachers of, say, Chemistry or RE or Politics? Why do we feel it’s OK for us to condense into four weeks what most other teachers spread out over at least a year? And why do we then moan when we get paid peanuts? I guess my contention here is simply that professions which wish to be taken seriously, to allow practitioners to be seen as experts, to charge fees refelective of their expertise, etc. do not have one-month entry points. (4) I agree with you that “we need to be scapegoating and boycotting . . . teachers, schools and institutions who do not invest in their own or staff’s continuing professional development” absolutely. However, given the fact we all know this is such a prevalent trait within the field, and that so many schools fit these descriptions, why continue with the ‘initial prep cert’ that only makes sense when assuming graduates will get exactly the things they so often don’t. Cambridge could set the bar higher tomorrow if they wanted to, and part of the rationale for doing so could easily be the fact that they acknowledge that the chances of inhouse TD after CELTAs are patchy to say the least. (5) The non-native issue . . . First, to clarify what I’m NOT saying. I’m not saying that CELTA courses favour natives in any particular explicit way (though you could see the dominant emphasis on methodology over linguistic awareness and knowledge as perhaps tending in that direction if you were that way inclined) or that natives necessarily do better on the courses. As I said, I suspet many non-natives do very well – as they already have a ton of language learning experience, linguistic knowledge, and often teaching experience. You’re also obviously right to say that o finishing a CELTA, it’s not realisitic to expect to have anything other than a CELTA. I think the role of CELTA as the basic way for teachers to travel abroad is the crux of the matter. Given that CELTA HAS become such a standardised shorthand for ‘passable teacher’ internationally, and that – scandalously – non-natives qualifications are still not recognised in he same way internationally, the easiest way for, say, a Pole with incredible levels of English, ten years’ experience and a local pedagogical degree to travel and work is to do a CELTA – after which, as you note, they still often end up less employable than natives. And I would argue that having such a low entry point for NATIVES (and let’s be honest, the course favours natives in that no native ever actually LEARNED English to the level they possess it at, which means non-natives have already worked much harder just to be at the same starting blocks) to start teaching is a slap in the face to our non-native colleagues out there. Another anecdote that put into words much of what I’d be feeling about this. I know I’m relying on anecdotes again, but there you go. You can dismiss it on those grounds, or you can take it as a relfection of how at least some non-natives feel about the current situation. “I met my non-native now husband on CELTA. Both of us did it so we could travel. However, he had already done a four-year degree in teaching English (done after he’d already studied International Relations, incidentally) and had eleven years’ teaching experience in Poland (including owning and running his own language school). In my case, I’d done a few private English lessons with Japanese kids and had started a completely unrelated career. But, of course, I was a native speaker! I then became friends with my now husband because he was in my teaching group and got him to explain the grammar to me. All of it! He enjoyed the course, but thought it was a piss-take that at its conclusion, the eleven native speakers were deemed as qualified as he was – more so even, despite the fact he sounds like a native, anyway. Their four weeks had somehow become equivalent to all that he had done beforehand! I’m going to stop because I’m already running the risk of penning a response longer than you’re original not exactly short post. Hope this clears up some of what I was trying to say, anyway. Thanks for taking my comments with such good grace, and also thank you for addressing the problem of qualifications and inequality at all. When someone of your standing speaks, people listen and get involved. You have had to field a huge volume of comments as a consequence, and you have done so in a way I never could have done. Thank you also for your positive feedback (even though you are about to try to take my argument apart!). It means a lot coming from someone as capable and concerned as you. I’ll reply to each of your numbered points in order as briefly as I can – we all have homes to go to, after all! To remove any sense of unpleasant foreboding, though, I should say that we are going to end up agreeing on many things. Re. OPINIONS – of course you were correct to take that as read, but it’s always worth pointing out anyway, especially when they come from someone whose standing may cloud reader judgement on this; I’m sure you would neither expect nor wish this to occur. This was more a flag planted for your readers than a shot at your argumentative method. We should also cast a wary eye over what has happened to intensive Delta courses since its modularization, by the way. 8 weeks used to be the minimum; now you see it offered in 5. This obviously isn’t good, but it is good business. 2) That’s what I thought you were getting at – thanks for the clarification. It’s just that there are a few, shall we say, theorists of a conspiratorial variety out there who would love to fuel such a view. I wanted to nip that in the bud. 3) I agree. I could leave it there, but I would just add that it is your last question here that I think needs to be a bigger part of the conversation, as well. Many of us got into the profession (or “profession”) off the back of such a low-entry bar. Some of us who stayed around, bettered ourselves professionally in terms of training and hard work, reaped (relative) rewards. Nothing comes from nothing. Those who stay in the profession and expect to be treated well for the rest of their careers having only done a Celta have a problem with reality. Now, this is about the people who stick around. The people who enter the field after a 4-weeker and are surprised by the low rewards compared to say, state teaching or similar, also shouldn’t be surprised. The reason they are is wishful thinking, but this is clearly (and here I absolutely agree) fed in part by the existence of courses like the Celta. 4) Again, I agree. This is a great issue for me as a trainer and the main reason I have re-geared my course the way I have and why I maintain (for my trainees) annoyingly high standards! I know that the day after their course, they are on their own. If there were an international standard course available that left beginners at a better starting point to their careers than Celta, I would be there. There isn’t – yet. 5) I agree that the real scandal is that “NNESTS” need to take Celta even when they have adequate other qualifications (though you know as well as I do that this is more a matter of practicality; in an unregulated market, and with the massively diverse nature of education worldwide, how can a small sole trader otherwise know what they are getting from an applicant? I see your line of thinking that deciding to teach your L1 (whether this be English or anything else) places you at a kind of advantage. I suppose what riles me in this general discussion is – by dint of our discussing English as the L1 in question – a certain amount of what I might loosely call colonial guilt, which is to say that England and therefore English has baggage in ways that for those of use having the discussion French, Chinese, Hebrew, Russian don’t have. I think I’d be less uppity about this if the discussion were framed more generally, and with examples of massively qualified British, American or Australian Teachers of Other Languages facing the same kind of problem. Perhaps this says more about me than about the discourse though! The anecdote you share of the couple is compelling, but I would say one thing. There is a grading system and it differentiates between people on the basis of performance. This is one reason I shred those rough stats: “non-natives” tend to outperform “natives” on Celta in my experience, and this is precisely what you would expect. Where a “native” achieves the same grade as a “non-native”, we can assume that their performance was equivalent. It is therefore perfectly fair to treat them equally from a potential employment perspective; it doesn’t matter how much harder someone has to work to achieve a given performance anywhere else except in horse-racing, and there it only occurs to make the betting more interesting. It’s a totally different ballgame. The qualification is doing what it should: identifying and rewarding higher performance within its own terms. The fact that the market is blind to this is the problem. Changing the qualification may, as you suggest, help here, but – as I said – it won’t if that’s all that happens. So where does that leave me? Basically in agreement with you, believe it or not. As I said at the start of my post, my main reason for writing was not to refute your basic argument, but to unpack it, and thereby force a more precise discussion. I needn’t have worried; your comment thread has been rich in itself, but I am glad I took the time to write this, and I am happy that you saw it for what it was, and responded to it in the manner you have. I promise not to do it to you again in a hurry, though! Thanks Anthony. I alays forget that I am apparently “someone of my stature” and so having folk around who force me to be more concise in the way I express my ideas is a great help. Thanks for the discussion. Plenty more to talk over sometime soon . . . in terms of what else we might be able to come up with instead. Absolutely. It’s been a pleasure. 5) There’s one issue here that is worth bringing up. You can’t just assume any long qualification actually instils better practice simply in virtue of the fact that it’s longer! The reason CELTA is valued, despite being short, is that it is comparatively rigorous and precise – and every single course is moderated for that reason. In this instance, it’s not length that matters. It is the pedagogical training! (And isn’t this the core of the naive-speakerism case?) A good grounding in some basic pedagogy – that’s where CELTA is at its strongest. It’s not going to offer that much grounding in language awareness, but I guess that the much-maligned NS “chancer” has a good amount of (albeit implicit) knowledge anyhow, and perhaps that was taken into account in the original course design, I don’t know. There would be little uptake for a course twice as long – people simply don’t have the money or time. And if they do – if they are committed to this career – they’ll progress to DELTA or something similar. While I completely support the ‘moment’ that has come to challenge native-speakerism, I really don’t see the problem with CELTA. Can I just say what a pleasure it is to read a reasoned debate between professionals who respect each other as individuals and respond to each other in a calm and measured way instead of by trashing each other? Many could learn from this. I wonder if part of the problem here is not quite knowing where we fit into the wider teaching profession. If we are saying that somebody with a CELTA may be qualified to teach English in a primary or secondary school, in the same way somebody might teach French or Spanish in the UK. This is a job that would require at minimum a degree and a PGCE-equivalent in the UK, and an undergraduate or Masters degree in most countries, then this is clearly an incomparable entry point and way below what we should expect teachers to have. But I sometimes feel that private language schools (where my experience is) fall more into the after-school classes type of teaching, the one that might encompass adult education for fun on a part-time basis in the UK, learning Polish, or a musical instrument, or fencing (which somebody referred to in one of the comment threads somewhere – can’t remember where!) or driving. That is, where people choose to add a skill to the portfolio they already have. I would be interested to know what the entry point is for any of these types of teaching. How long does a driving instructor need to train for before they can run lessons? Or a music teacher? Or a French teacher doing the lessons in the UK outside mainstream education? Thanks for joining in, Sandy, especially because you have expressed very clearly the basic dilemma facing any discussion of our work as a profession. There is a sense in which some of us have aspirations for the profession that apparently the profession does not share! You say: ‘If we are saying that somebody with a CELTA may be qualified to teach English in a primary or secondary school, in the same way somebody might teach French or Spanish in the UK [then…]’. From my understanding this has not been said, in fact, Anthony has, quite clearly, stated the opposite in this thread. Interesting questions about entry points for different types of skill training. I would view teaching driving lessons as incomparable to teaching langauge. Language is a much more complex subject which includes culture, the influence of L1, etc. Music, obviously is more complex and perhaps simliar as it is sort of a langauge as well. Just to comment again on one of the key threads of the conversation, expressed later in the discussion as as a teaching training scheme that doesn’t quite know where it fits into the wider teaching profession. Just to summarize what has been said above, I think that Cambridge is fairly clear about where CELTA fits into its CPD offerings. The stated aims are to prepare in-service teachers with little or no experience to teach in a range of contexts for adults and students over 16. It does provide the caveat that teachers may need continued support beyond the course, but can Cambridge reasonalbly be expected to provide this? If a teachers feels that they will need extra support then it would behoove them to choose a centre that will provide the extra help they need to progress and develop. To say that the onus comes from the course providers, from the top, suggests, in a way, that teachers are incapable of making informed and intelligent decisions about their own careers. To speak personally, having no real support either pre or post celta, I sought out cpd options and mostly figured things out on my own by getting a range of experience, challenging myself by taking on difficult roles and teaching situations, etc. Not suggesting that this is the best system or the best cpd route, but generally, it is my belief that if one is passionate and dedicated, puts his full energies into something, then a path will emgere and open up. Sorry for the rambling, but to continue, the next step in the CPD framework, after a few years experience, is obviously the DELTA where teachers can extend their knowledge and refine thier practice. An MA could follow etc. Is it a pefect course or system? No, but has it provided lots of teachers with a basic intro to pedagogy and a framework for language analysis which they have used to become competent practicitoners. Could the CELTA be updated to better suit the emerging needs of the market? I say yes, and Cambridge has recognized this, evidenced by the recent survey sent out eliciting feedback from trainers and assessors. Thank you for this clear and (I would say) accurate summary of the argument thus far. Obviously, your final paragraph on the particular discussion yet to be had about continuing to make courses like Celta fit for purpose and somewhat futureproof is where the action is, and (like you) I look forward to where Cambridge takes their recent fact-finding, and also to where practitioners at the chalkface (giving away my age, there!) like you and Neil take this. My goal for a centre my colleague and I are currently setting up in Malaysia is to create a different kind of course– one not far off from what i assume to be the goals of your course. Mainly moving towards a more communicative course with less focus on langauge awareness as knowledge of terminology and metalanguage, and more attention to langauge teaching as a skill requiring listening skills, notetaking, awareness of langage produced. To do this, i think week one will need to foreground speaking and getting learners communicating at the outset, with more inputs on speaking, setting up tasks, giving feedback, clear instuctions, etc. Less input on presentation techniques, and the heavy focus on language forms. I hope to create a course that better reflects my own beliefs about how languages are learned: the primacy of communication, langauge as a tool for this purpose, learning as an interactive and social endeavor. If there is space in the tp schedule i would also like to do some team teaching wiht the trainees, e.g. plan a lesson with them and divide up the execution where we both teach agreed upon stages. This is where I hope to take this. Cheers and thanks again for the post and opeing up this space for discussion. That all sounds very interesting, Derek, and I wish you all the best with it. Since I started playing around with what can be done in terms of unplugging Celta, I’ve seen a lot of people doing really good bits and pieces; it’s really exciting when several innovations or changes get implemented in the same place by the same people. I’ll be interested to hear what happens. Not having taken nor teach the CELTA, I have little to add but to agree with Sandy that it’s refreshing to read a back and forth that is reasoned, clear, and respectful. Well done, both. This is true. I appreciated that too. I’m sorry of sometimes I get a bit passionate in my defence of CELTA. I can think of better targets for people’s ire, that’s all! I have worked on CELTAs for 10 years and more, and really – it’s all right. It’s not a bad course. There is “mild quality control” – as Paul says – actually pretty stringent. Every course is moderated. Paul’s comment (below) about the quality of the trainers is also very pertinent, and Hugh has said as much too. *All* that matters here is whether the course (and the various other pedagogical and linguistic qualifications mentioned in passing) deliver the goods. Isn’t it all about teaching quality? I do see a few “chancers” on CELTA but far more candidates who emerge motivated and keen to try out their skills. Like others on this thread, I was once one of them. Thank you for stopping by, Paul. That seems as true a thing to say as any. I mentioned in a tweet I was thinking something up – but my concerns are far less related to NS/NNS issues, and more to do with quality TP discussion + feedback over quantity, – to me, the difference (respectively, and IMHO and experience only) between CELTA courses and post-grad / MA courses in EFL. … But that’s probably another post/discussion for another time! Yes, I would agree – the tone of the discussion and debate above has been very refreshing – long may it continue in this way – thank you! Thanks for stopping by, Rachel. The quantatitive side of the argument is the easiest one for critics to get some traction on – how can 6 hours be enough? etc. As you say, what goes on in those 6 hours is more important. Given the Celta gets very positive reviews by highly experienced teachers who have taken it (I’m tlking 25+ year experienced school principles and HoDs from the state/public sector worldwide here), I am inclined to think that it does some things well, even when applying the standards of the greater profession. Thx for taking the time to respond, Anthony! “6 hours” is always mentioned – but in a group, they observe the teaching of (often) 4 others = another 24 hrs of intense observation+FB/discussion. Granted, it isn’t of experienced teachers, but it’s still invaluable. I think that’s often overlooked. That’s a good point, Rachel. 24-30 hours of observing peers, 6 hours of observing experienced eachers (not always live, but it often is, and this also discussed afterwards) plus the 6 hours of direct teachig experience (plus potentially a further hour or so of unassessed teaching and accordingly another couple of hours unassessed observation of others, depending on the schedule. So 38-40 hours of classroom experience over 20 working days. Granted, I got more in absolute terms during my PGCE, but not by much, actually, and proportionally speaking nowhere near that density of experience. Nor was most of that experience unpacked via discussion with the teacher (they didn’t have time) and most of my own “teaching practice” was only assessed in the sense that the regular teacher was sitting in the back of the room, or even in the staffroom, catching up on marking. And I never got to observe my colleagues and reflect on my performance in the light of theirs. If I had to compare this experience with that of a candidate on a Celta, I’d have to say that they were probably better prepared by the experience for their likely teaching future than I was. And I went to one of the top TTED insitutes in the country. Does this make Celta better than or even just equal to a 1-3 year state teacher training course? No. But it does make me take criticisms of Celta with a pinch of salt. Thanks for unpacking this even further – it really does make a case, I think. Sadly, yes, I’ve too often heard (on MA courses) of the tutor/mentor coming in and out, being only physically present, or not actually being there, – and as for making time for discussion as well as giving written feedback … Well, it is a lot to ask, but when it’s all done on the CELTA, as is very much an obligatory part of it, and is done (if the 4wk) over such a short space of time, the impact is significant, and obviously it has to have consequences for the next day’s teaching. That learning curve is very steep! – and yes, we all “learn to drive” once we’ve passed the test, but the ‘input’ in terms of discussion / FB etc has to be present. Looked at broken it down in this way, it is certainly quality and potentially also quantity. It should form the basis of good amunition (in the politest sense, as you do know how! ), and not simply as means of taking criticisms of the CELTA with a passive pinch of salt! Aside from both Hugh and me, how many of you have opened a language school? How long has it been up and running and which country has it been in operation in? I am the founding director of CA Institute of Languages in Brno, Czech Republic and we have been in operation since 1997. We are an EAQUALS accredited member as well as AJS and MSMT which means we have to maintain a certain standard not only for ALL of your courses, but the institute as a whole. We have a teacher training program which was started together with the University of Chicago as simply a TEFL/TESOL 120 hour course with 10 hours of practicum. We have since upped it to a 180 hour program consisting of 30 hours of practicum training teachers both NEST and NNESTs to be able to handle a classroom filled with young learners all the way up to seniors. The course lasts from a month and a half to three months. CELTA and Trinity compete with us and they are both fine entry-level programs, but once you have opened your own institute and have interviewed teachers who have been trained with those you begin to wonder, who would ever take on a CELTA teacher with only 6 – 10 hours of practicum. The practicum is where it’s at. Regardless of your entry level certificate, we require at least three years of experience on top of that unless you have been trained at our institute. At the end of the day, all we really want to know is that you can teach our students to learn English in the most effective way possible and many monolingual NESTs straight out of CELTA program cannot do so. We are a TEFL Equity supporter.